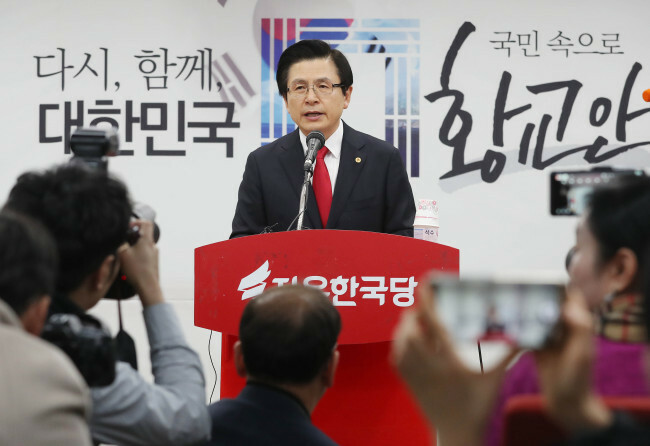 With competition for the party’s leadership heating up, some members of the main opposition party, including Chairman of the party’s emergency committee Kim Byung-joon, have expressed concern and disapproval toward Hwang’s candidacy, as the party struggles to break away from its links to former President Park. Chicken, consistently juicy and flavorful, can be found at restaurateur Im Dong-hyuk’s newest Thai hangout -- Soi Yeonnam Mao. “We call it Soi Mao,” said Im, 37, of his latest enterprise, which he described as a “Thai tapas” spot. “Kai yang,” which is available for both lunch and dinner, is Soi Mao’s riff off a dish that hails from northeastern Thailand. While the original “kai yang” is slowly grilled over charcoal, Im explained their kitchen does not allow for such extensive grilling, so their “kai yang” is oven-baked, then the skin is fried to a crisp, before the meat is finished over a charcoal grill. The resulting protein is then served, heaped on a platter, with a side of sweet and spicy sauce. The flesh is snowy and tender and the skin is crisp and crackly, demonstrating how well-cooked chicken can be incredibly satisfying. Then there is Soi Mao’s “kai ping.” Only available at night, these chicken skewers feature meat that has been marinated in coconut milk and lacquered in fish sauce.